Dish Network has signed a multi-year deal with Scripps Networks Interactive for the streaming rights to live and on-demand content from channels such as DIY Network, the Food Network, HGTV, and the Travel Channel. The Dish over-the-top TV service which is due to launch later this year will offer around 20-30 channels for $30 per month. The service will be aimed at cord cutters who are becoming increasingly frustrated at high pay-TV bills for cable and satellite TV. 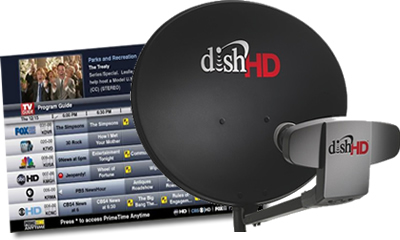 The content will add nicely to the already signed deals that Dish Network has secured. They signed a deal back in March with Disney owned ABC and ESPN for live and on-demand streaming, and they secured the rights to A+E Networks channels such as Lifetime, History, Crime & Investigation and Military History. The announcement follows on from the news that Sony has decided to enter the online streaming market with it’s own cloud based TV service, and has nabbed the rights to 20 Viacom channels including Comedy Central, MTV and Nickelodeon.